The study, which used in-house social analytics tools to track ticket sales on the site, was a continuation of a similar analysis the company released in October after analyzing data from a 12-week period. That study also indicated Facebook drove more sales for Eventbrite than Twitter, although the difference between the two networks’ sales per post was greater at that point than throughout the entire six-month period (the “value” of tweets increased). In addition to each individual Facebook Like driving more sales than an individual tweet, the study also revealed cumulative activity on Facebook was greater than activity on Twitter for Eventbrite. People shared Eventbrite events on Facebook almost four times as often as they did on Twitter. The company attributes this disparity to Facebook’s wider reach and greater emphasis on real-world ties. It’s important to note that only a very small percentage of site visitors shared event pages on either network. 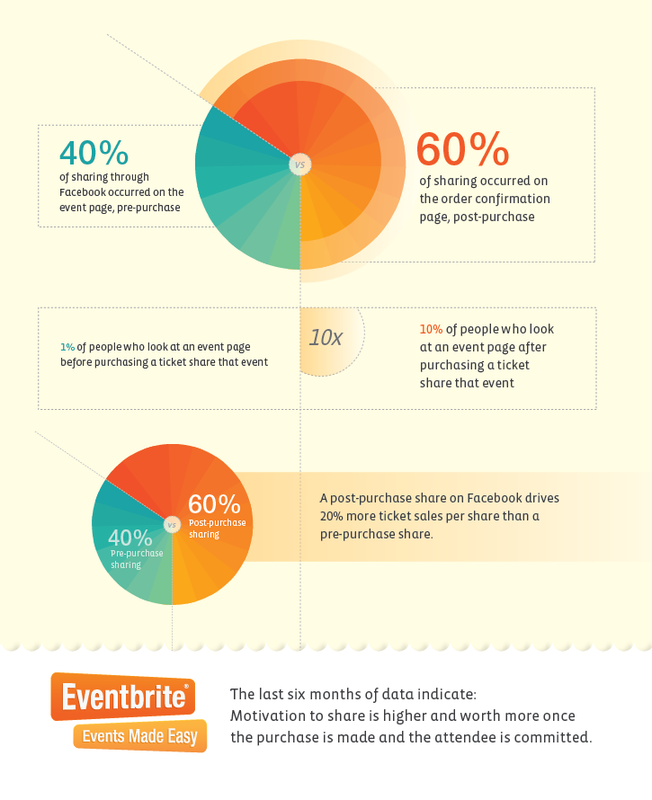 Just 1% of people who landed on an event page shared it with their friends; 10% of people who had purchased a ticket did the same. Obviously people are more likely to share events if they are attending. Their friends, according to Eventbrite’s data, are also more likely to buy tickets to an event shared on Facebook by a ticket holder than one shared by an uncommitted friend. Whether these trends, or any of Eventbrite’s findings, are relevant to other types of purchases is still a matter of speculation. But Eventbrite is betting they are.